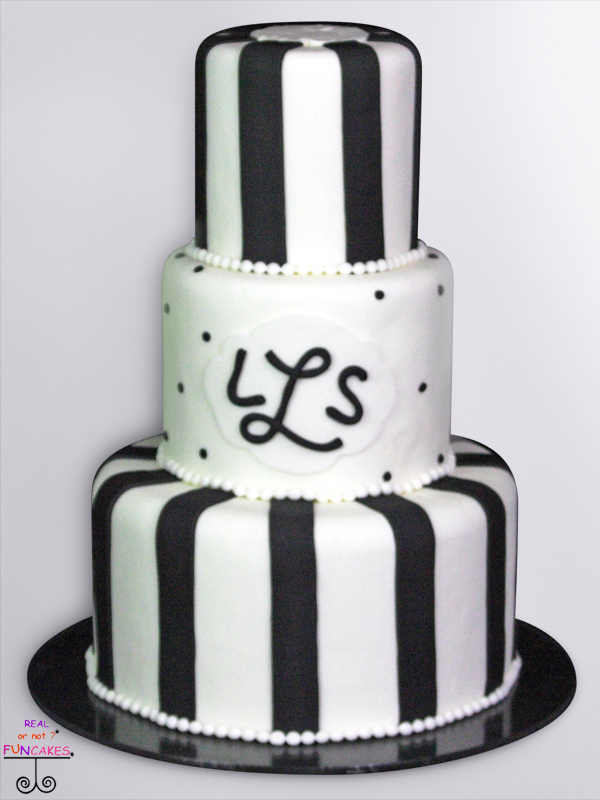 Our Black Stripes cake is three beautiful layers of real fondant, in a natural white color, with the simplicity of classic stripes, perfect for a black and white wedding! The top and bottom tiers are decorated with black stripes. The center tier showcases your new Initials, just send us your initials and we will add those to the middle tier. Even though your cake is fake, you want it to look like it will feed your wedding guests.If this cake were real, it would feed 150 guests. We are charging $1.50 a slice for this beautiful and perfect fake cake, with free shipping.